Then I started n the Booby Traps Balconette Bra pattern ( bottom left in pattern picture). 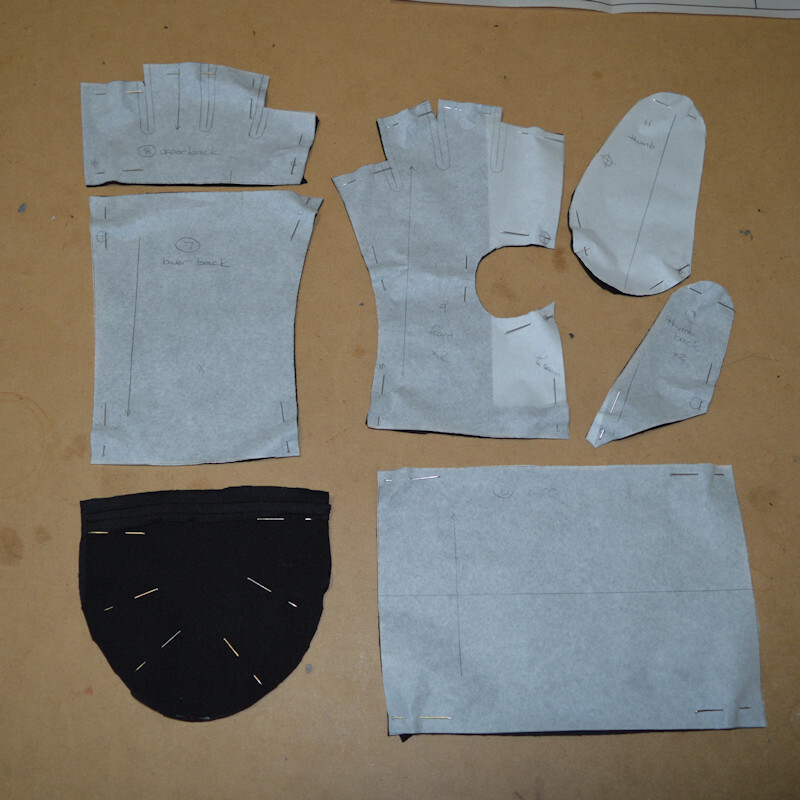 There weren’t any notches to line up the pattern pieces so I tried adding them when I traced the pattern out. 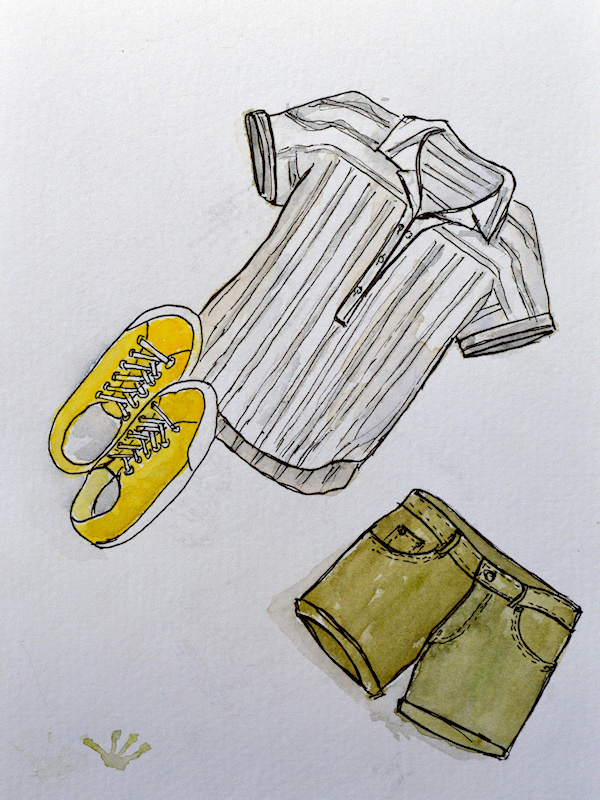 It was then that I found that the seam lengths didn’t match – on more than one seam. So this pattern is for ‘the round file’. 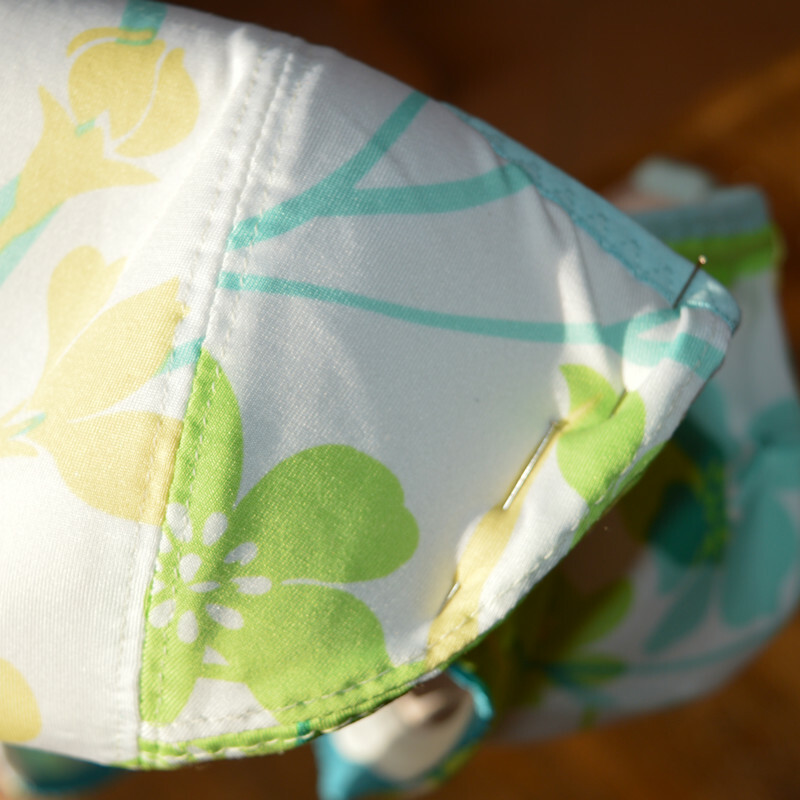 Merckwaerdigh has just released a bra mini course, which covers fitting and design modifications of a basic bra. So I’m planning to use the course to draft my own version of this pattern. 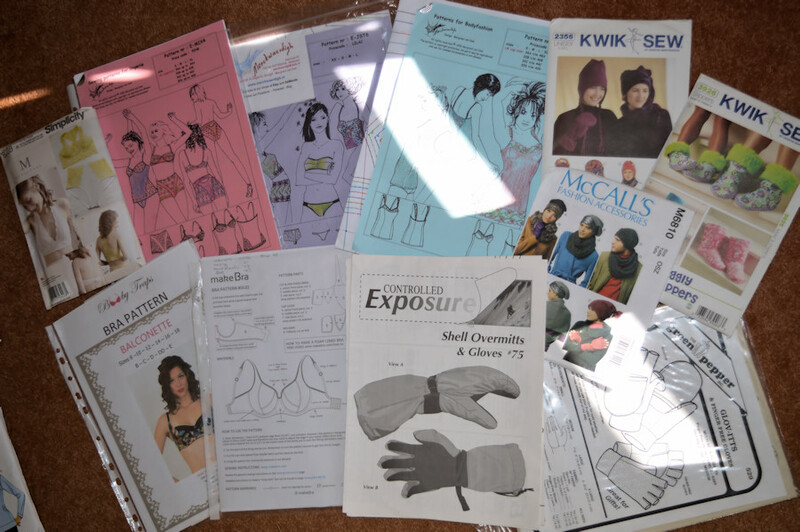 About 12 years ago I bought a fantastic yet very complicated pattern for shell gloves – Controlled Exposure #75 (see pattern stash picture: bottom row, centre). The instructions are excellent, and I’ve had good success with other CE patterns, in particular, the Mountain Pants. As much as I’d been wanting to make these, I’ve been really intimidated by it. 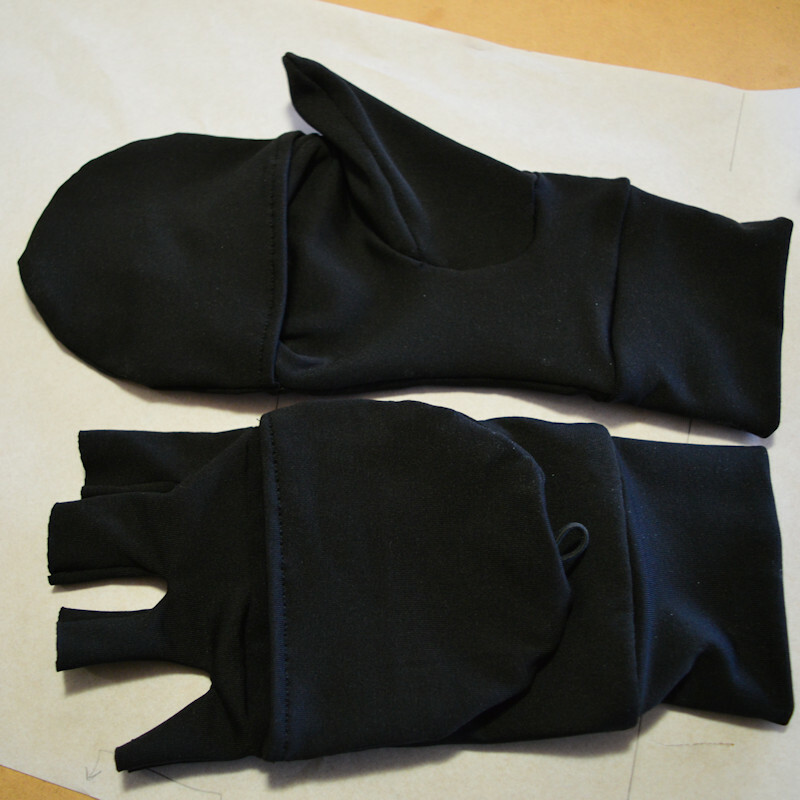 Also in my stash are two other glove patterns. 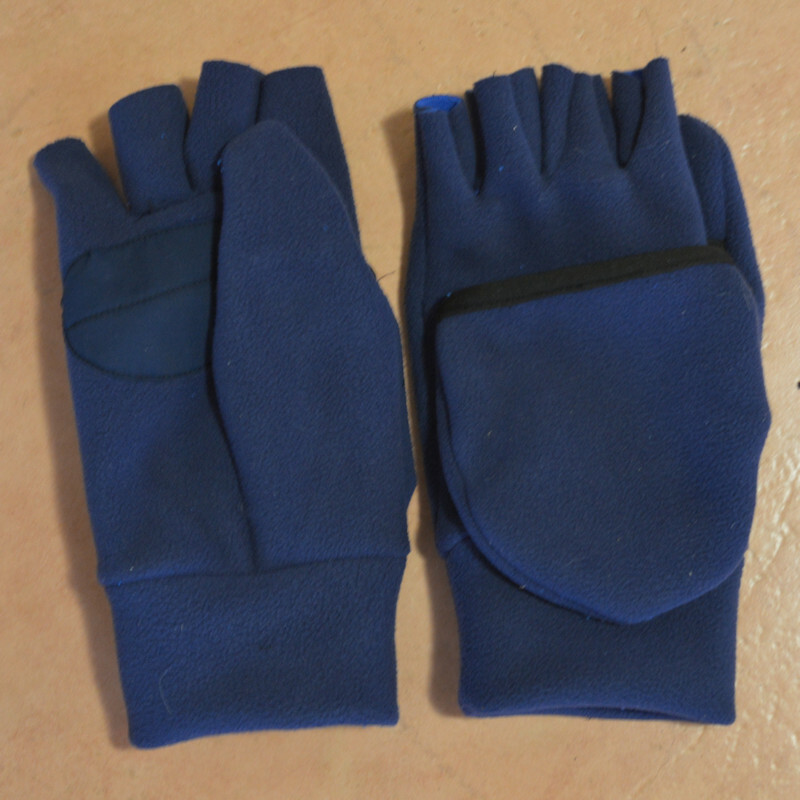 Both are for glittens ( glove-mittens) – one is lightweight, the other for thicker fabrics. 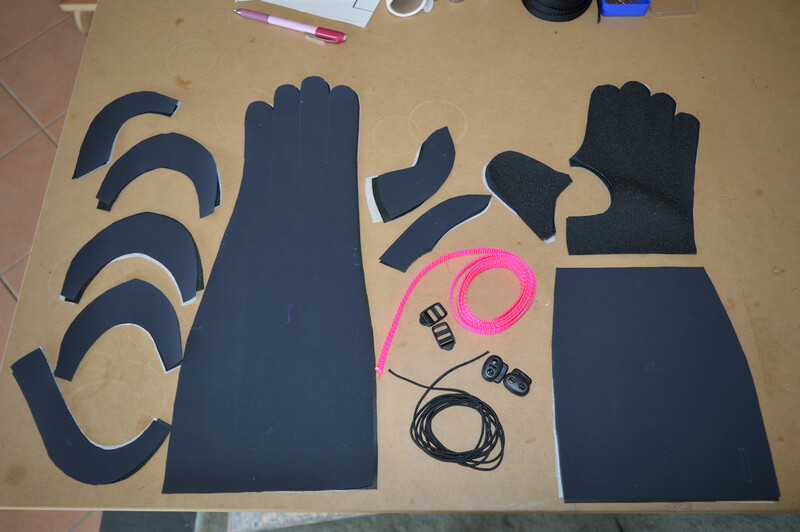 So the plan was to start with them, get a feel for glove making and then start the shell gloves. These looked like the easier pattern of the two. 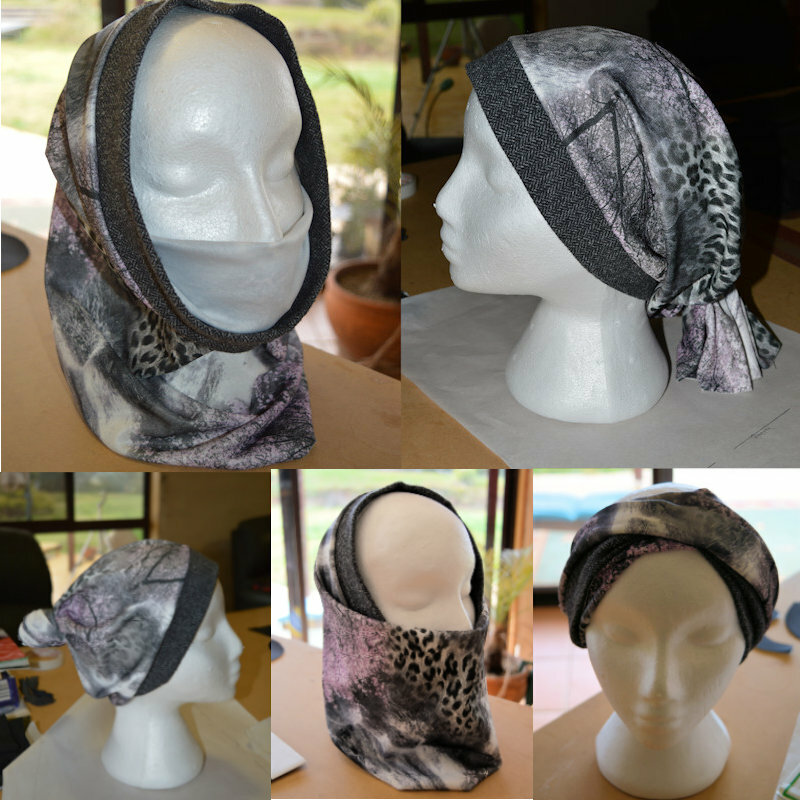 Designed for swearer knits and jersey, I’ve used a brushed back nylon. Same fabric as I use for thermal nix. 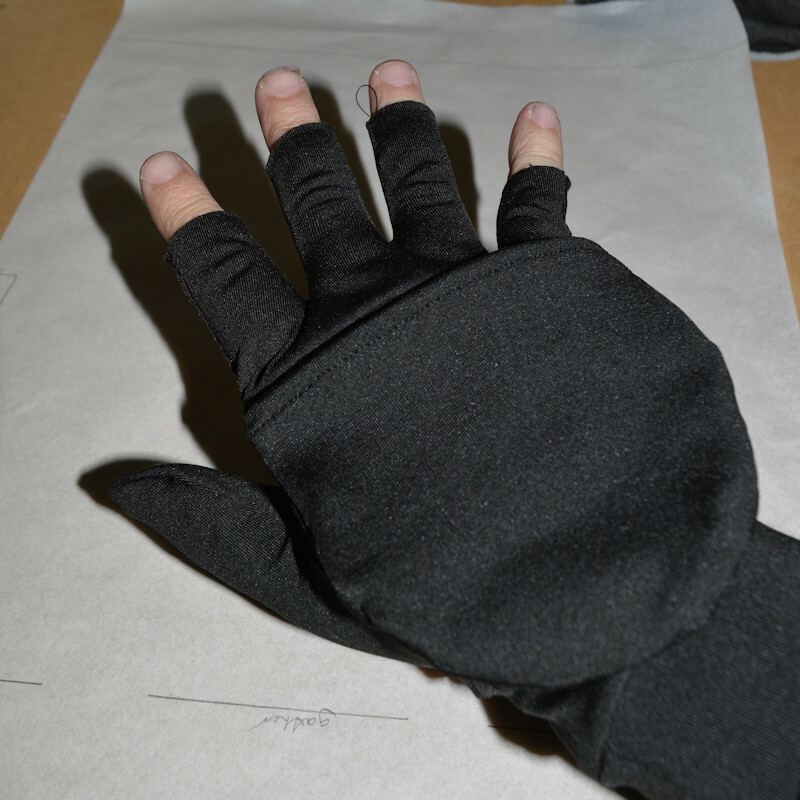 They were quicker to sew than I expected, but I took a short cut when stitching the fingers. 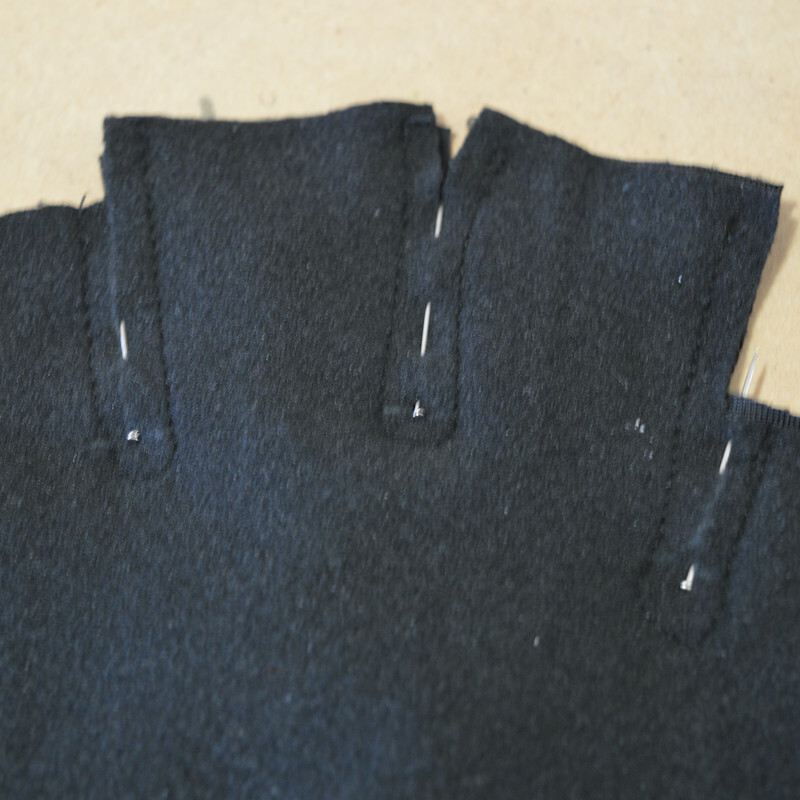 Instead of cutting between the fingers and then stitching the seams, I’ve pinned them together along the cutting lines, sewed the seam, and then cut them apart. 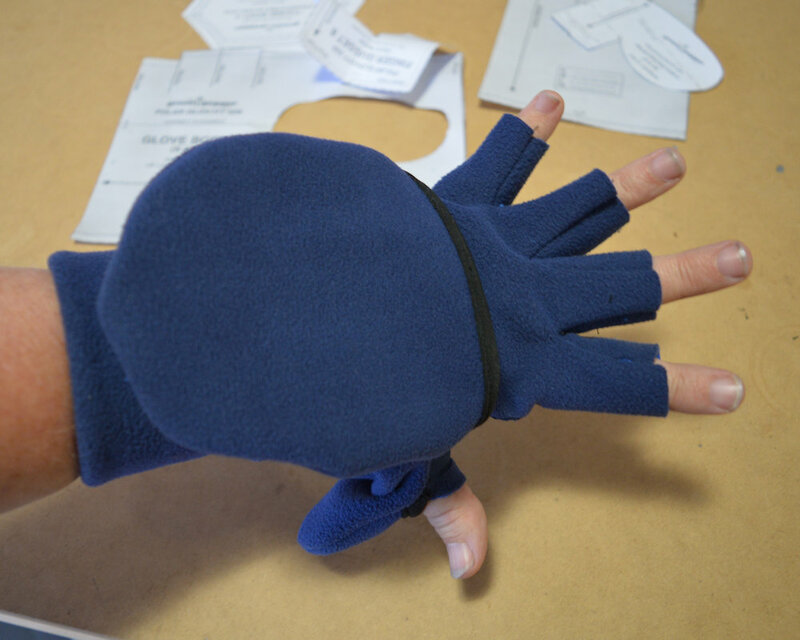 The hardest part was sewing in the thumb. The sizing was a puzzle. The other two patterns are sized by the length of the hand, with a S being around 6 1/2″, and a XL at 8 1/2″. 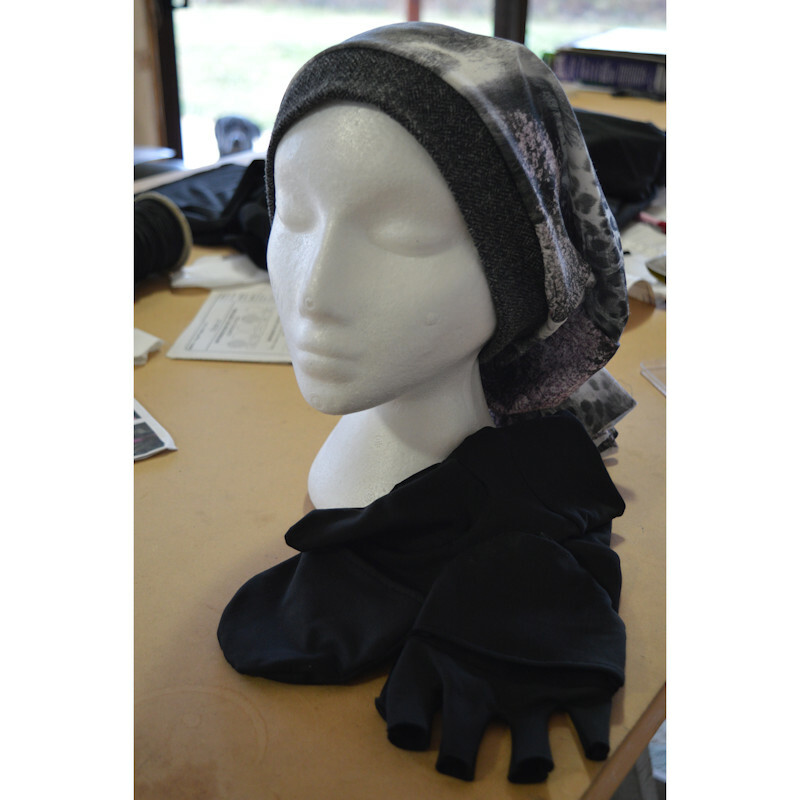 This pattern has a small at 8″ and XL is 9 1/2″. I can only assume that the measurement is the circumference of the hand, rather than length. I’ve made the S, and had to shorten it a lot – at the cuff, finger tips and mitten. The width was good. The button closure is fiddly to use and I’ve already snagged the loop on something. Velro would be so much easier. I’m also finding that I’d like the thumb tip to be free as I’m not able to grip things as well. 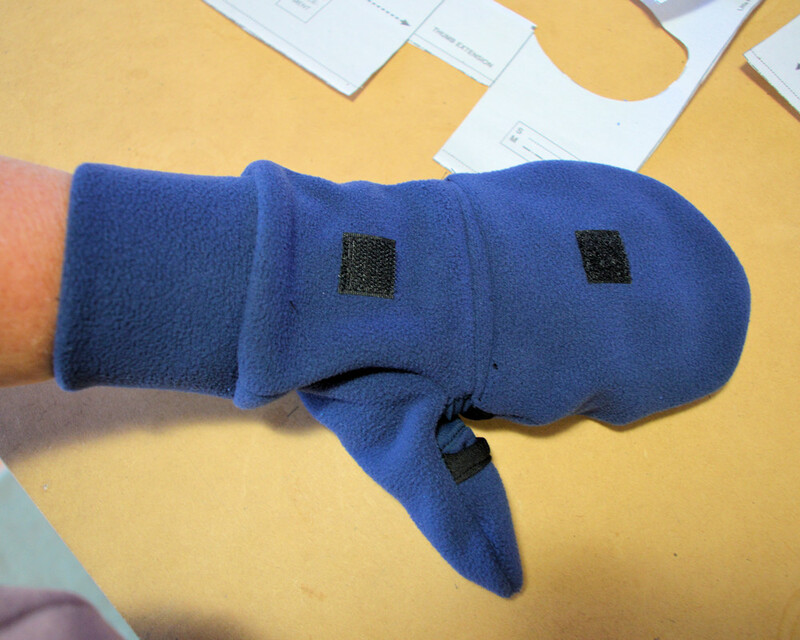 My fabric is smooth-faced so that is part of the problem, so the thumb tip may get cut off. 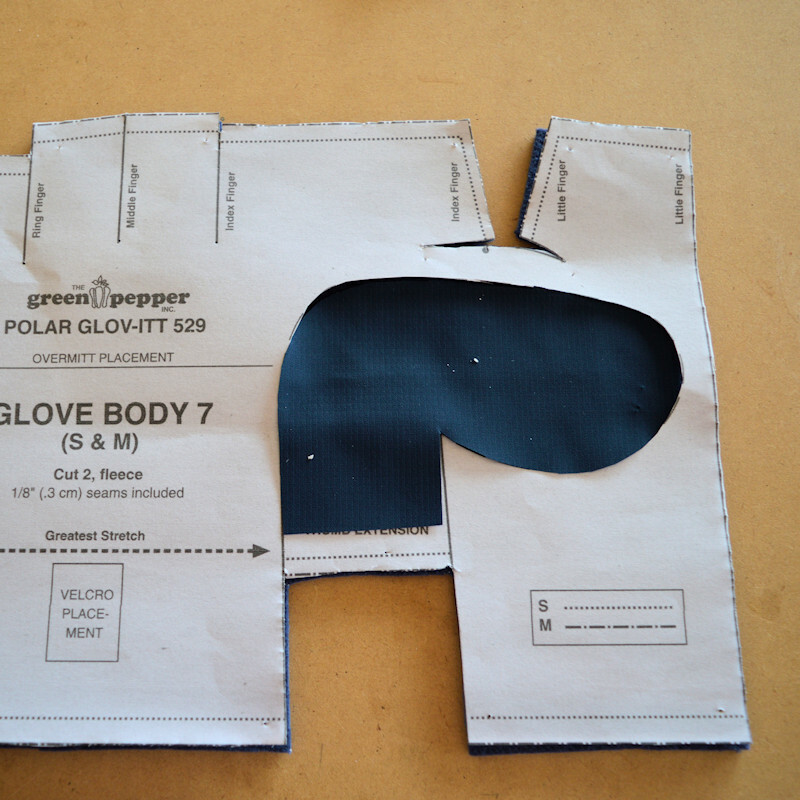 The envelope also has a couple of hat patterns. I’ve used view C to do a knock of the Outdoor Research Ubertube. A fancy name for an long tube of fabric, but I liked the different ways of being able to wear it. It will come in handy for skiing and hiking. View C is about the right length. I haven’t gathered the end, but left it open. The wrong side of the fabric will show at the gathers. 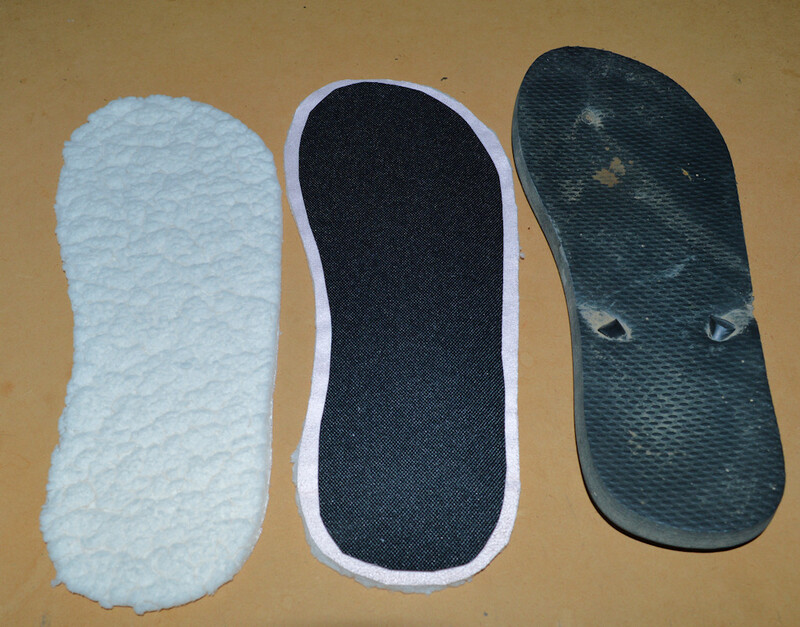 Another glitten pattern – this time with a palm protector, thumb slit and velcro tab. 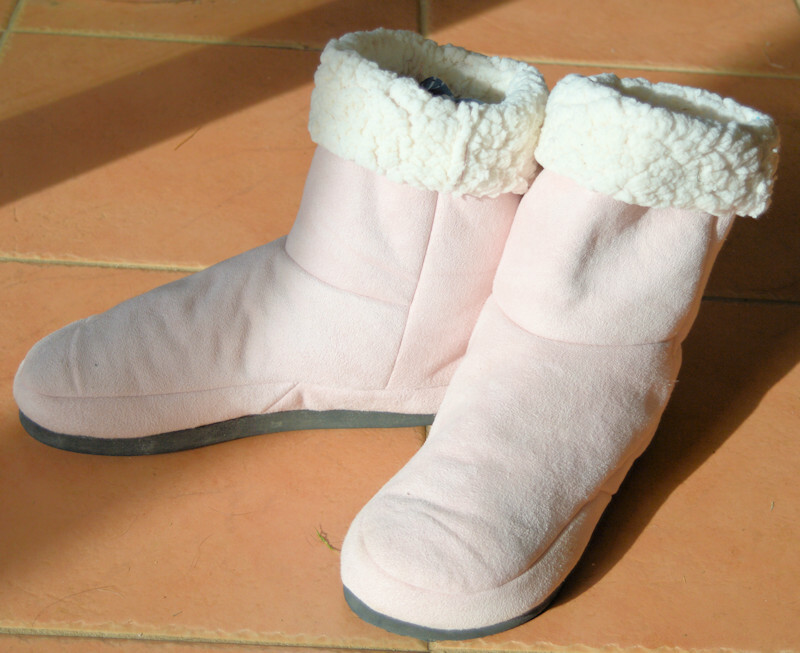 These are very similar to a pair that I had lost. They were really great to take hiking, especially doing a bit of photography as I could just flip the lid on the fingers and thumb and work the camera controls. 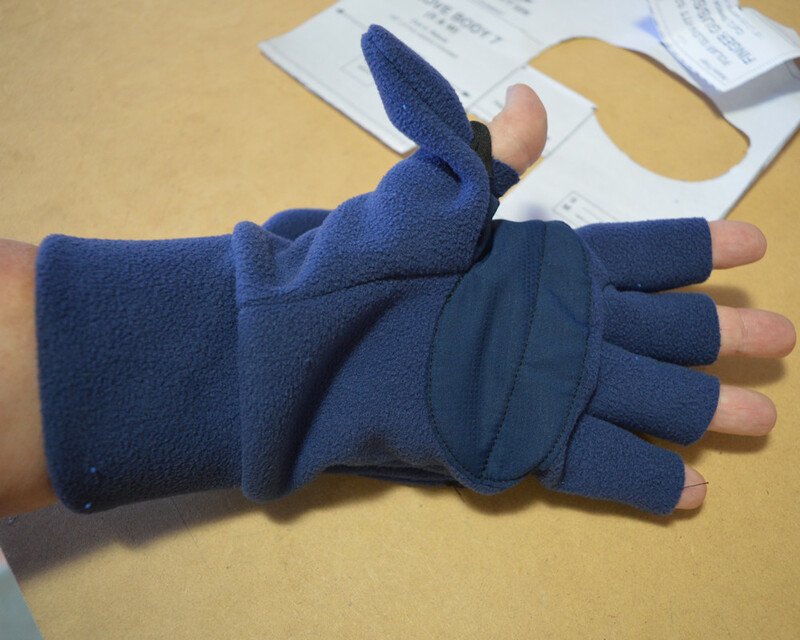 I’ve used a thicker fleece for these – a double faced Polartec wind block. The construction was probably a bit easier on these than the McCalls. The seams were 3mm and I did have problems with the bottom fabric slipping out and not getting caught in the seam occasionally. I’ve stitched the finger seams with a short stitch length so I didn’t need to back stitch. Plus, I can trim the finger length if I need to without compromising the stitching. Here goes ….. I’ve cut out the pieces. Goretex shell, Toughtec palm. 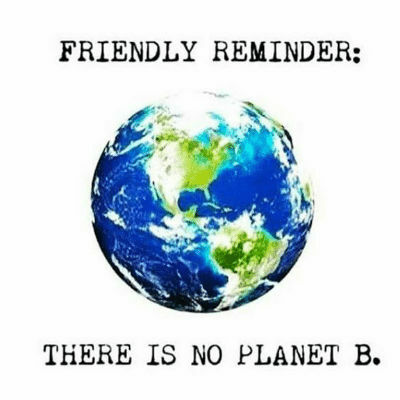 What is the worst that could happen???? Your glove trails are very interesting to read about and those are serious gloves so far!